work providing a professional, all trades service. We pride ourselves on giving our customers the highest quality joinery service at an extremely competitive price. We are time served tradesmen and excel in providing domestic and commercial home improvements and property maintenance services within the Glasgow area. Over the years SJM Joiners have undertaken various projects ranging from kitchen, fencing & decking installations to completing joinery contracts for Glasgow Academy, British Gas, Govanhill, Whiteinch & Scotstoun Housing Associations as well as estate agents, landlords, property developers, pubs, clubs and hotels throughout Glasgow. A lot of our domestic work involves the refurbishment of traditional doors and sash & case windows. Our team of joiners are able to repair even the most extensively damaged or decayed timber by using modern methods and traditional know-how. Door and window refurbishment can be a more cost effective solution to replacement. 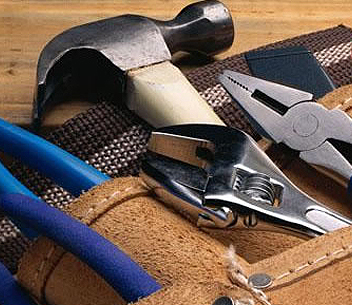 SJM Joiners provides a complete domestic and commercial property maintenance service. SJM Joiners services covered are listed below. We cover the west Side of Scotland, Scotland's Central Belt and Edinburgh Areas. These areas include: Anderston, Anniesland, Auchenshuggle, Baillieston, Balornock, Barlanark, Barmulloch, Barrachnie, Barrowfield, Blackhill, Blairdardie, Blochairn, Botany, Braidfauld, Bridgeton, Broomhill, Budhill, Cadder, Calton, Camlachie, Carmyle, Carntyne, Colston, Cowcaddens, Cowlairs, Craigend, Cranhill, Dalmarnock, Dennistoun, Dowanhill, Drumchapel, Easterhouse, Firhill, Garnethill, Garrowhill, Garscadden, Garthamlock, Germiston, Gilshochill, Greenfield, Haghill, Hamiltonhill, High Possil, High Ruchill, Hillhead, Hogganfield, Hyndland, Jordanhill, Kelvindale, Kelvinside, Knightswood, Lambhill, Lightburn, Lilybank, Linthouse, Maryhill, Maryhill Park, Millerston, Milton, Mount Vernon, Netherton, Newbank, North Kelvinside, Park District, Parkhead, Partick, Partickhill, Possilpark, Provanhall, Provanmill, Queenslie, Riddrie, Robroyston, Royston, Ruchazie, Ruchill, Sandyhills, Scotstoun, Scotstounhill, Shettleston, Sighthill, Springboig, Springburn, Springhill, Stobhill, Summerston, Swinton, Temple, Tollcross, Townhead, Whiteinch, Woodlands, Yoker, and Yorkhill.